Time for a new code word from Addicted To Clean and Simple. 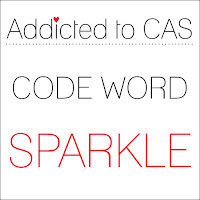 and she chose the code word Sparkle. that I could easily cut to the width I wanted. I put the tape on cardstock and then used that to die cut the ornament. 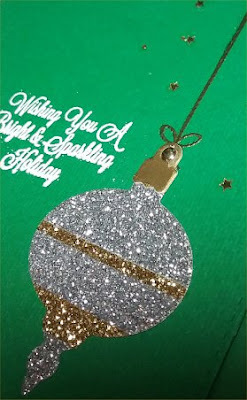 I used the My Favorite Things Christmas Ornaments Die & Stamp Set. I wish I would have stamped the sentiment in white ink rather than embossing it. I think it would have been easier to read. Hope you can play along with our Sparkle challenge. and they are offering a $15 gift certificate as the prize. Love the sparkle paper ... great paper piecing it together. 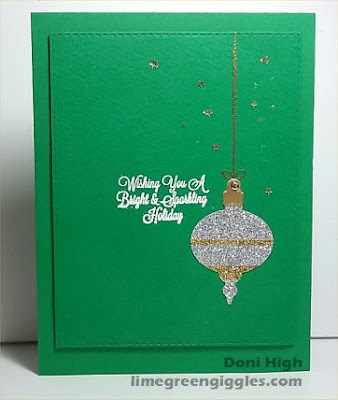 Absolutely gorgeous Christmas card, Doni! I love that you chose silver and gold washi tape for your ornament, and your sparkly stars are just perfect! I really likes your blog! You have shared the whole concept really well and very beautifully soulful read! Prarthana Packers and Movers are reliable and best packers and movers in Ernakulam with best quality packing & moving, and small charges for house shifting, office relocation and get door to door moving quotes, ratings, reviews and contact details. Contact us and provide us opportunity to serve you.